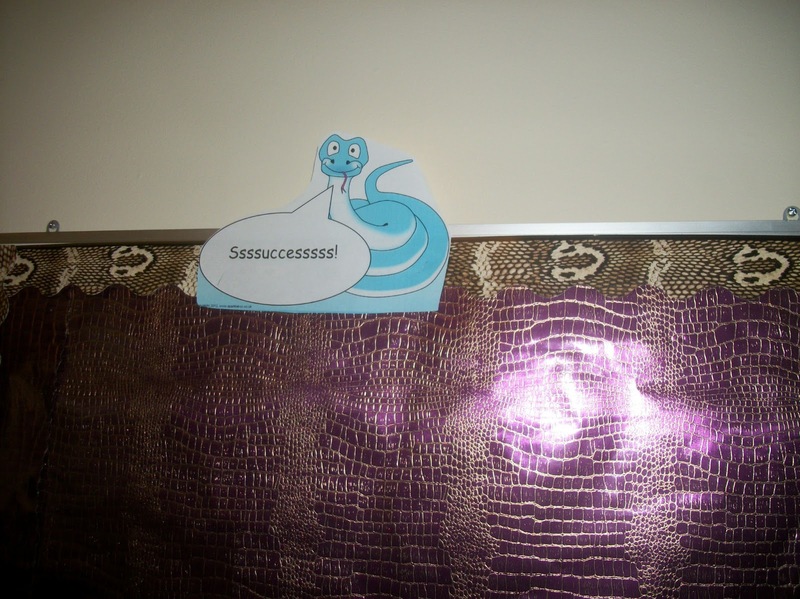 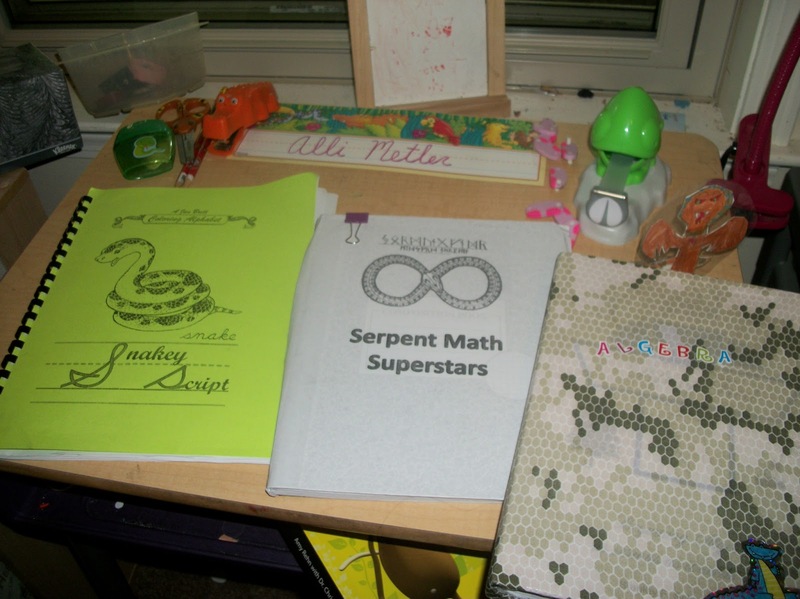 Making music with kids: Back to Ssssschool! 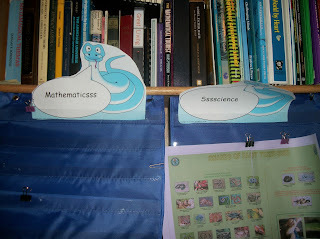 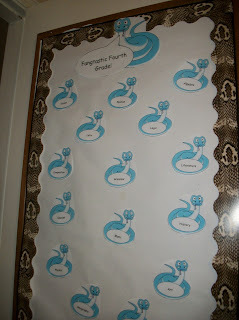 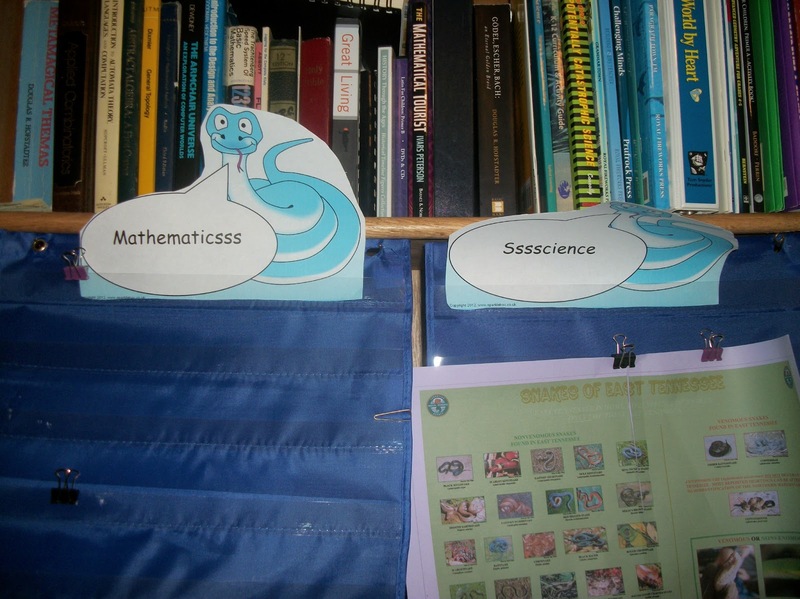 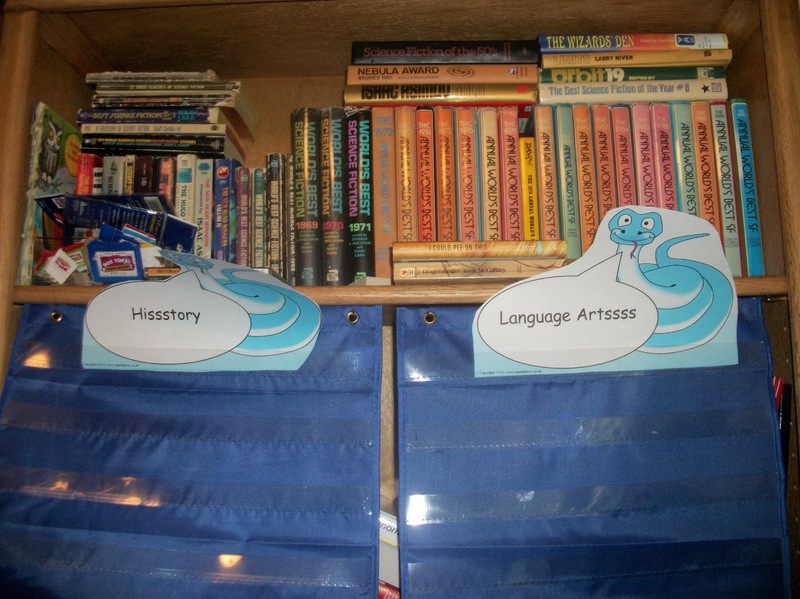 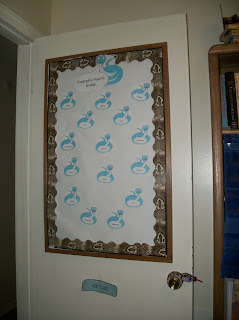 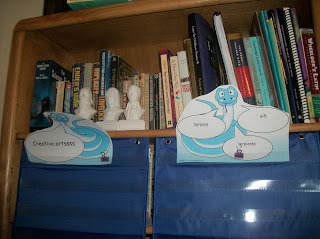 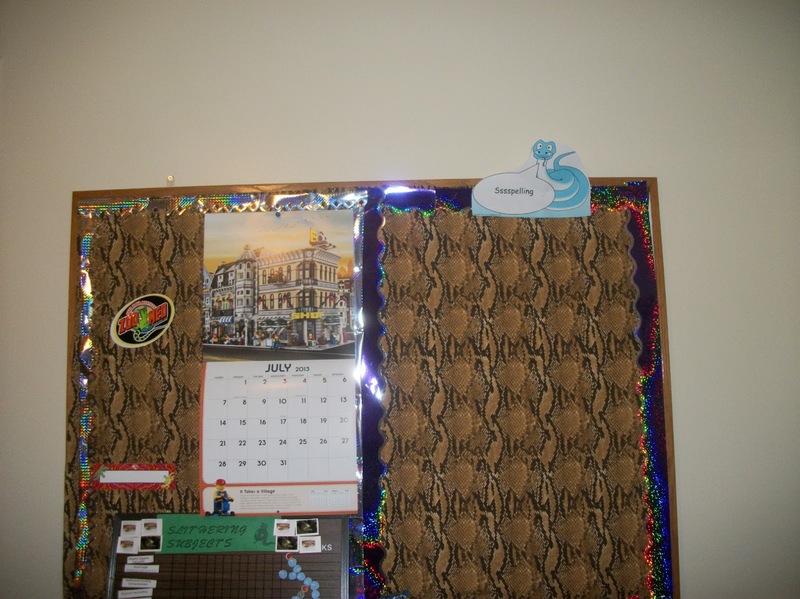 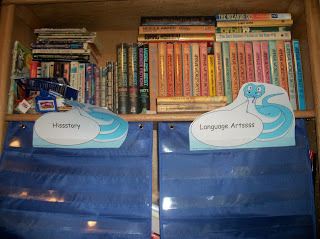 Every year, Alli picks a classroom theme to decorate our homeschool room-this was something she started a couple of years ago, and it really is a big part of her "back to school" year. 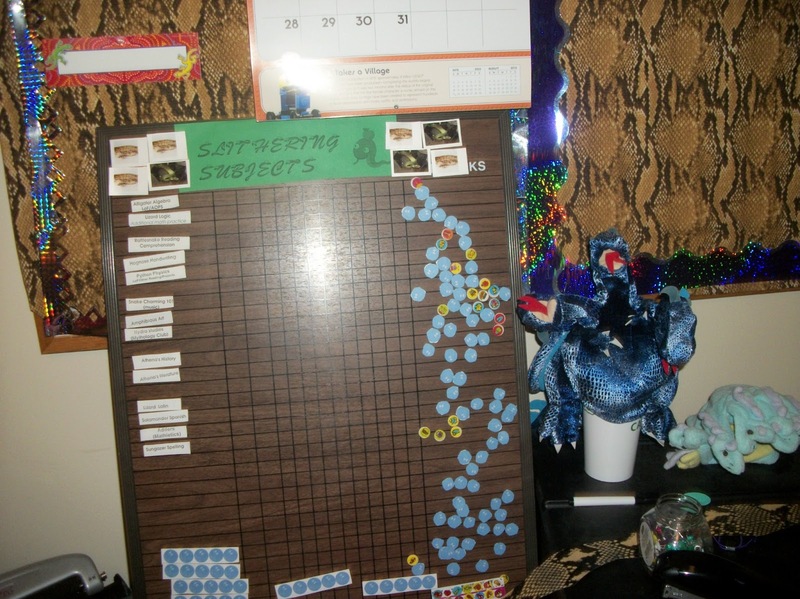 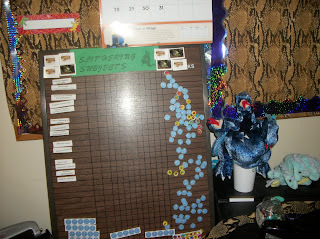 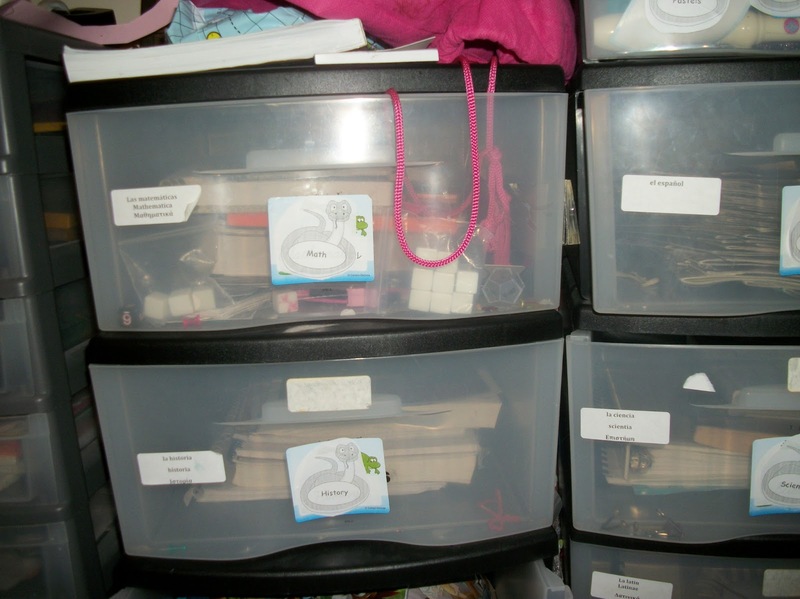 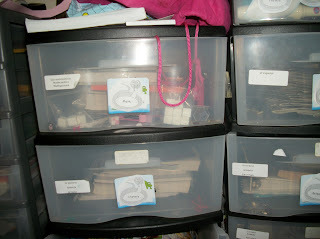 This year, she decided she wanted snakes and other reptiles-so we've been spending some time getting ready. 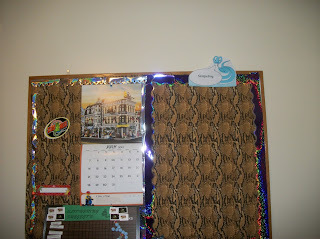 Compared to last year's Frog theme, there wasn't much available-which has made it just more fun. 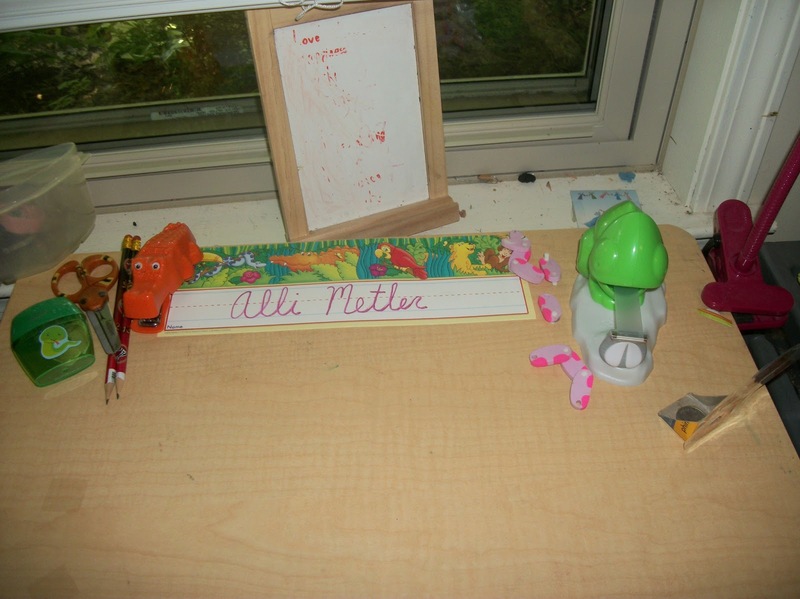 Alli's desk, along with the special school supplies we've managed to locate so far. 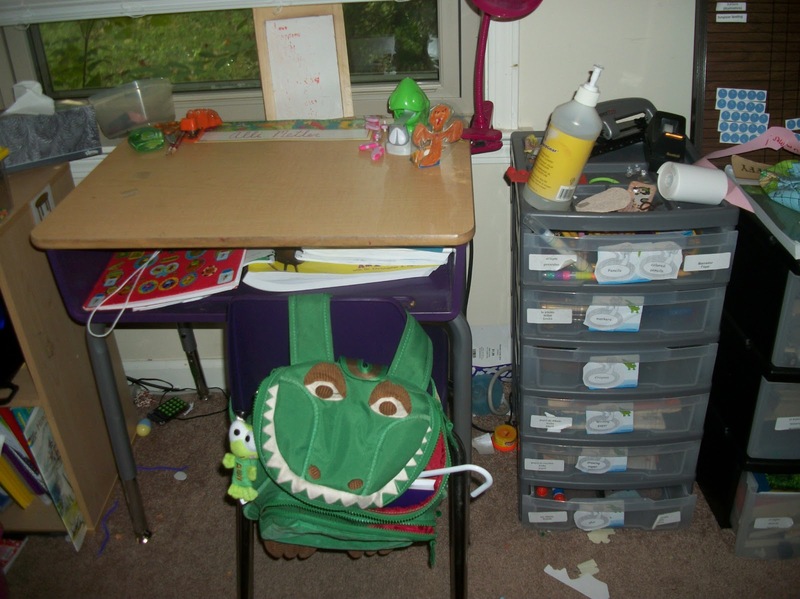 Backpack-gator chair pocket (which is holding her nature study kit-including journal, binoculars, hand lens, and homemade snake hook).